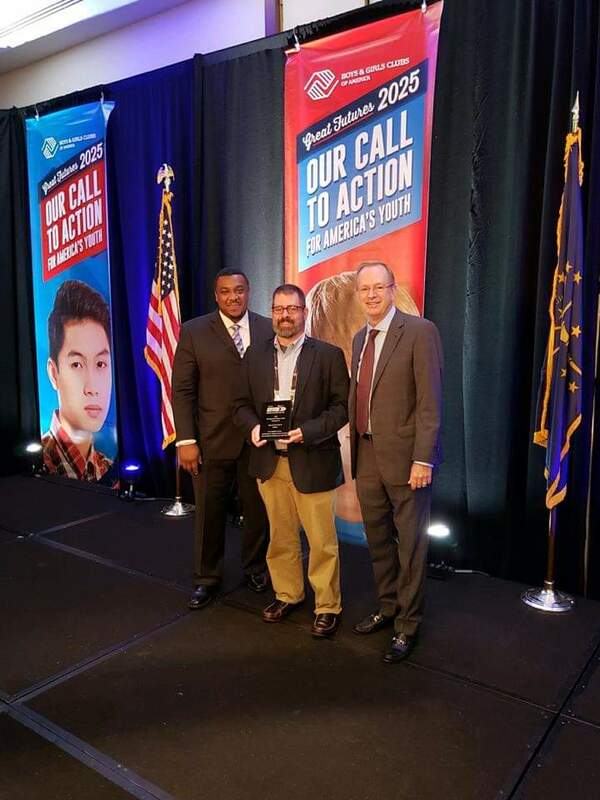 The Boys & Girls Clubs of Muncie is grateful to have accepted two awards at this year’s Boys &amp; Girls Clubs of America Regional Leadership Conference on October 11. The Clubs were awarded with the League of E.A.G.L.E.S Award, Gold Honor Roll for their involvement by the board. In order to earn this award a Club must have at least 95% engagement from their Board of Directors. Engagement can come in many forms from attendance, donation requests, and serving on a committee. The Clubs were also presented with an award for increasing their average daily attendance by 45%. “This is all due to the amazing partners, board, staff and most importantly our families who believe in us every single day. Great Futures really do start here,” says CEO Jason Newman. The Clubs serve over 250 children in Muncie each day. The Boys & Girls Clubs of Muncie recently celebrated Newman’s one-year anniversary. Newman accepted the position in Muncie after serving in Philadelphia, PA for 11 years. If you would like to learn more about the initiatives at the Clubs we invite you to Coffee at the Club on December 7th at 7:30 a.m. at the Boys & Girls Clubs of Muncie – Roy C. Buley Center.